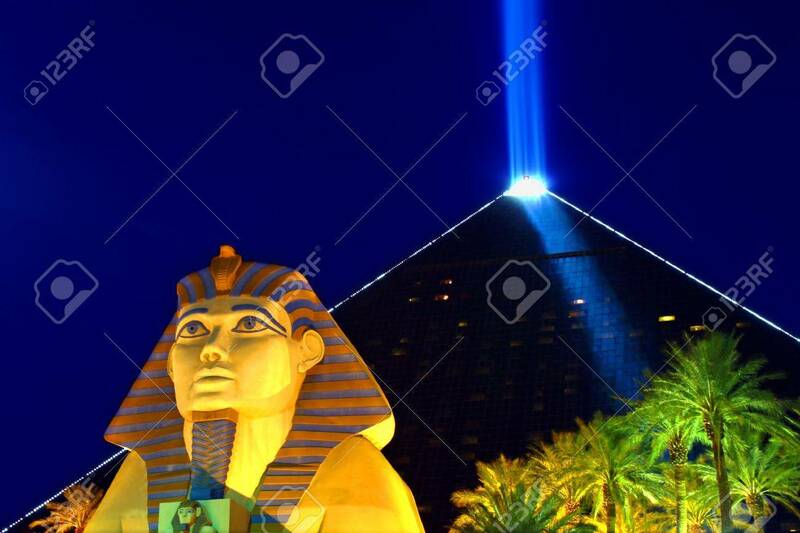 Las Vegas, USA - October 29, 2011: Luxor Las Vegas Is An Egyptian.. Stock Photo, Picture And Royalty Free Image. Image 16223460. Stock Photo - Las Vegas, USA - October 29, 2011: Luxor Las Vegas is an Egyptian themed hotel and casino on the famous Las Vegas Strip. The hotel was opened in 1993 and contains a replica of the Great Sphinx of Giza and a pyramid shaped building with a spotlight. Las Vegas, USA - October 29, 2011: Luxor Las Vegas is an Egyptian themed hotel and casino on the famous Las Vegas Strip. The hotel was opened in 1993 and contains a replica of the Great Sphinx of Giza and a pyramid shaped building with a spotlight.